After bubbling out of several tournaments, I got back on the saddle and signed up for the WPBT HORSE event that April set up on Full Tilt Poker. I did very well and finished in 4th place. I was really glad to make the money especially after a painful 24 hour period of getting kicked in the junk time after time. In total, I bubbled out of 4 large field tourneys (starting late Thursday night going through early Friday evening). Luckily, I ended the drought by cashing in 2 consecutive tourneys. Wooot! Congrats to Biscutblocker for winning the event. He beat out Scurvydog in heads up play. It was a tough 3 way battle at the end with Garth finishing in 3rd. Great job guys! I even got a chance to drop the hammer at the final table! Behold . . . the Hammer! 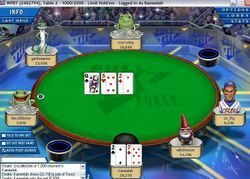 I had a pretty big stack at the final table and was in first place for a bit. I blew it when I donked off most of my stack in Omaha 8OB. That's my least favorite HORSE game. In fact, I'm starting to prefer PLO these days to O8 and I thought I'd never say that! 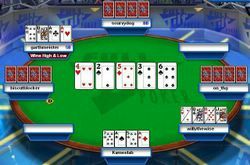 I lost a big hand to Garth when I flopped trips and he turned a full house. But the hand that put me on tilt is captured below. I folded this hand by mistake and lost focus after that. I should've scooped! I had a 7 high straight and the wheel for the low. The implosion of Derek started shortly afterwards. Thankfully, I was still able to finish in 4th. Thanks again to April for setting this event up! I had a blast! Until next time guys! So my junk is hurting really bad right now. I bubbled out of 3 large field tourneys with nothing to show but wasted time. I've been trying to stay away from tourneys lately to concentrate more on cash games. I got a severe itch to play some tourneys in the last 20 hours so I scratched it. 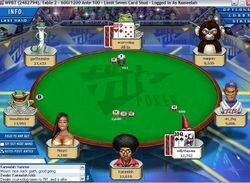 I played in 2 on Full Tilt Poker and one on Titan Poker. 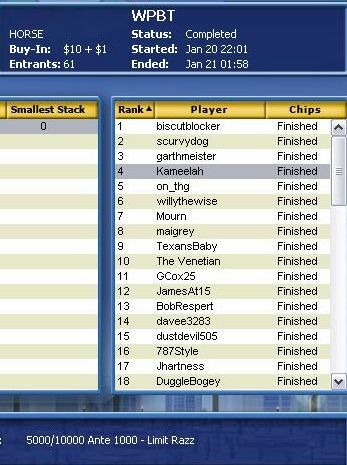 I played both a HORSE and an Omaha Hi tourney on FTP. I did well but bubbled out of both. 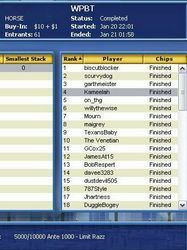 I also played in the $1 Borgata Satelitte on Titan. I didn't have any money on Titan since I withdrew my funds from there months ago. I was completely shocked when I logged on and saw $20 in my account. Titan gave me $20 for free so I did what anyone would do. I played a tourney and got bad beated out of it!!!! hehe. Having that been said . . . how about another tourney tonight! 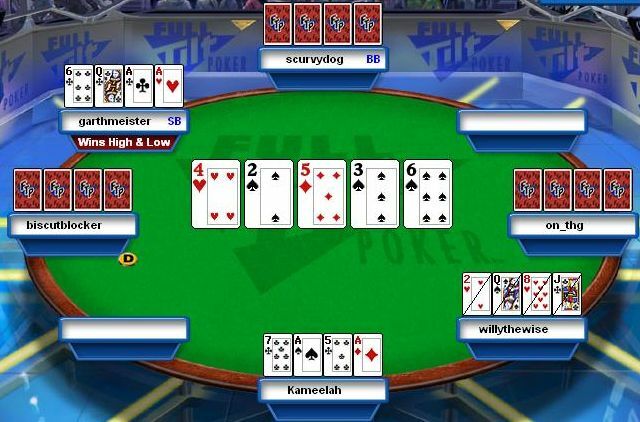 April was kind enough to host a WPBT Event on on Full Tilt. It's a HORSE event too. It takes place tonight (Friday). Here are the details.